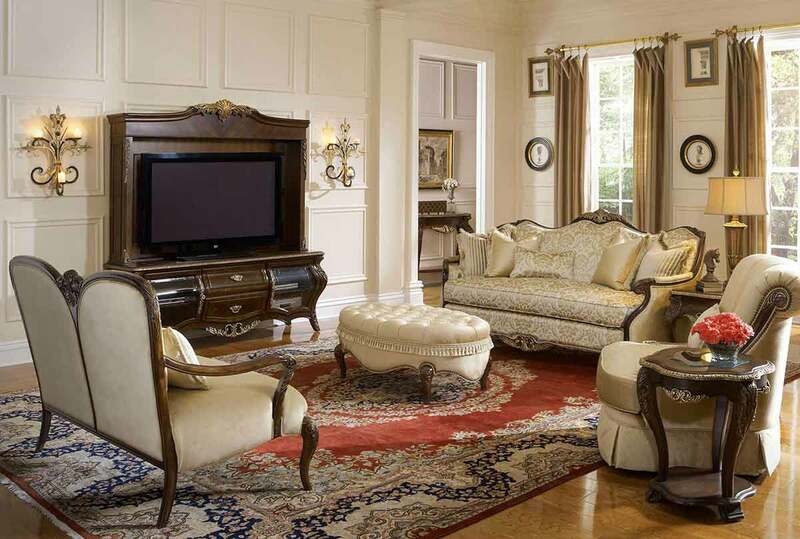 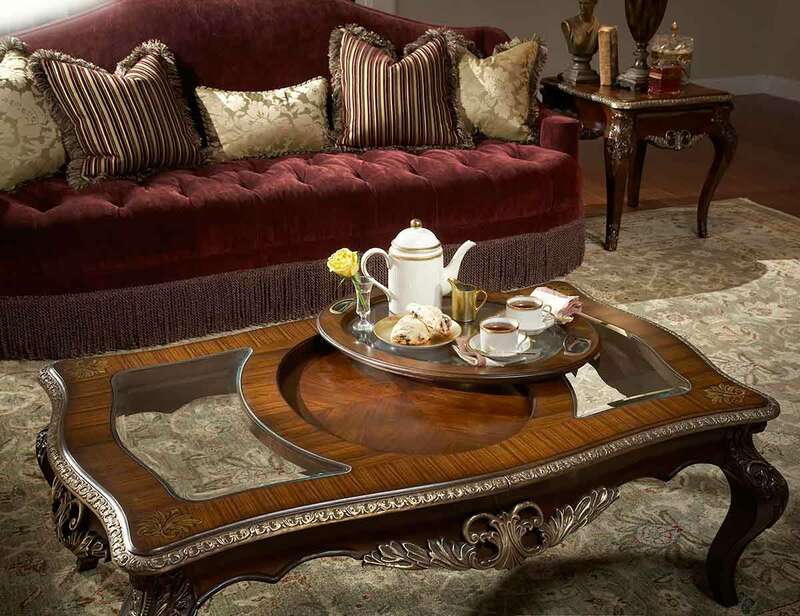 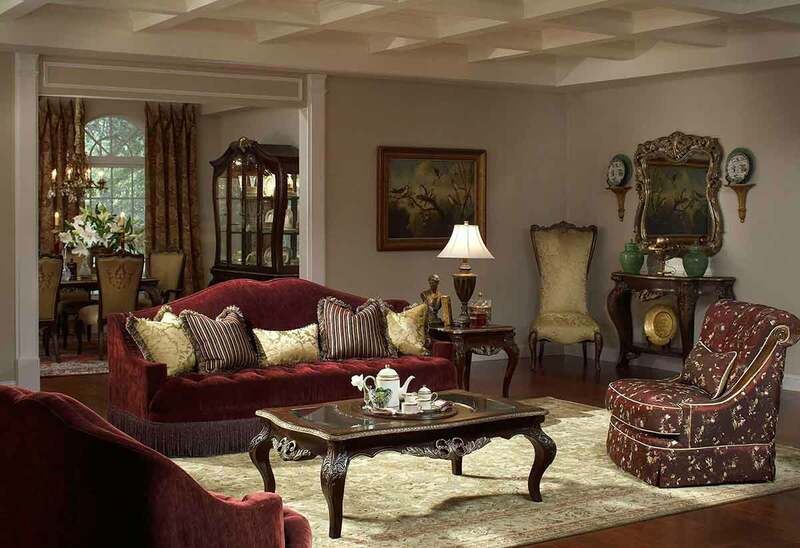 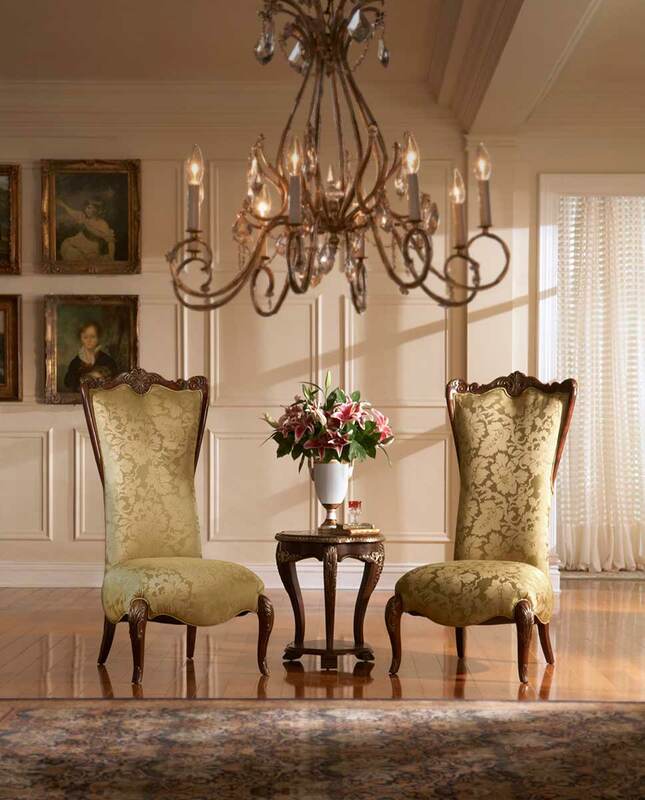 Russian palaces and the romance of destinations like Versailles are the inspiration behind this majestic collection crafted with walnut and rosewood veneers, and dressed in a Radiant Chestnut finish. 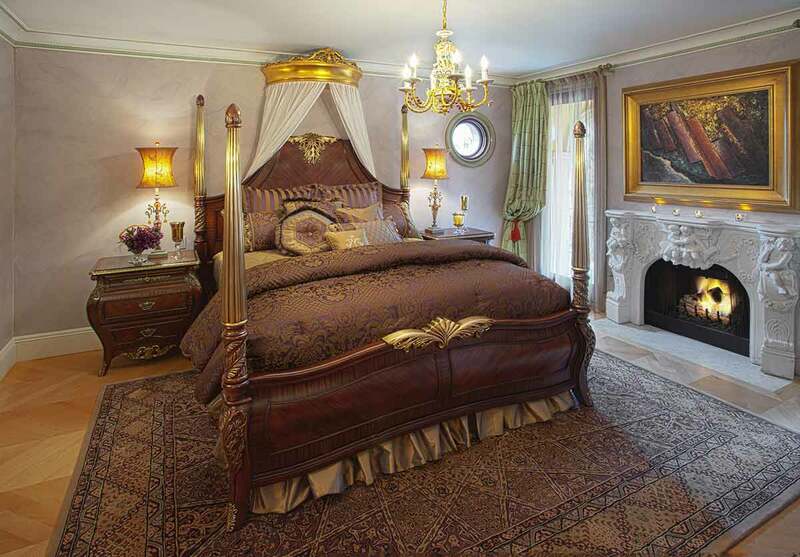 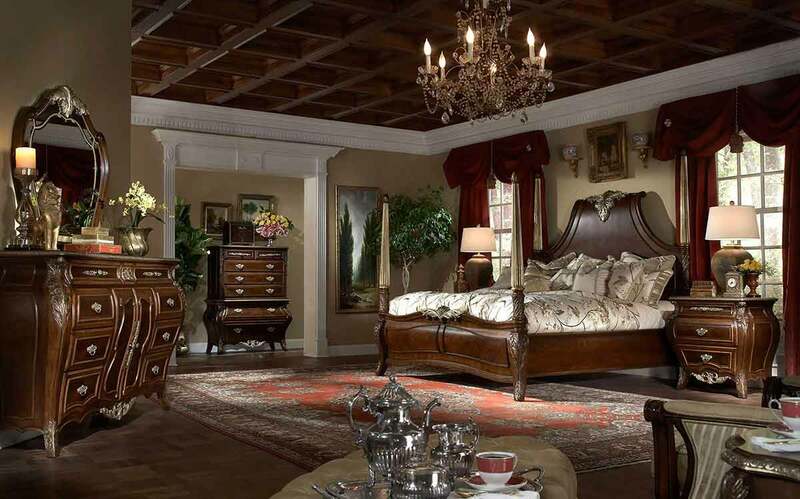 Magnificent marquetry and brass metal accents throughout the collection add a distinctive royal touch. .
Bling of Kings is brought to you by award winning Catrina’s Ranch Interiors . 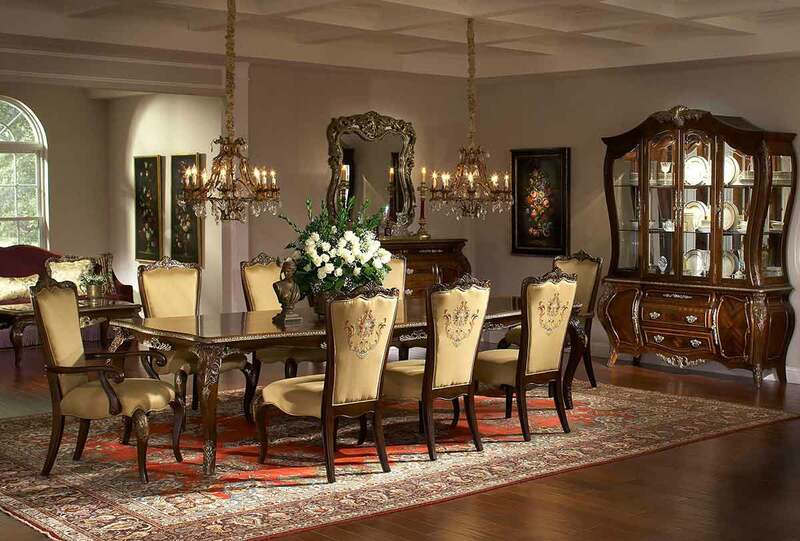 We are manufacturers of fine custom furniture and authorized dealers for the design collaboration of Michael Amini and Jane Seymour. 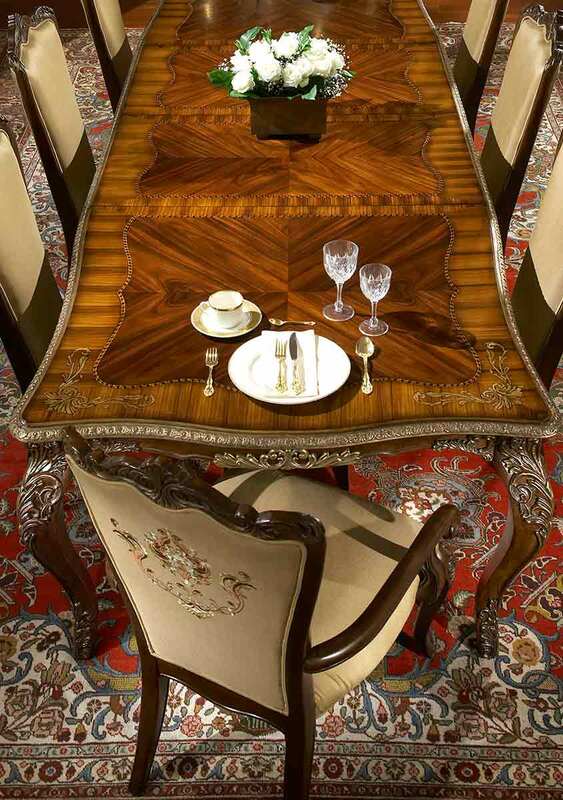 When purchasing from us you can rest assured that our products and services have the full backing of our suppliers.